BOSTON – In light of the extreme cold, winds, and icy conditions that are expected to remain through tonight and tomorrow, the MBTA is urging customers to plan ahead and allow for 10 to 15 minutes of extra travel time Tuesday morning. Before traveling Tuesday morning, the MBTA is encouraging customers to monitor local weather forecasts and to visit MBTA.com/Winter for the latest service information. Following the end of service today, the MBTA will continue with cold-weather measures, which include storing buses and trains indoors overnight, and conducting regular checks of vehicles that remain outside. 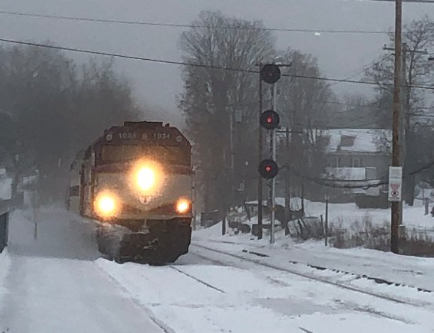 Additionally, MBTA and Keolis personnel will continue monitoring exposed third rail, overhead wires, switches, and switch heaters across the MBTA and Commuter Rail systems.